Hamby was captured earlier today. After the initial release from DOC yesterday, Hamby's height was listed as a "typo" and changed to 5'9". 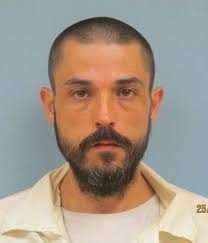 A prisoner serving a life sentence for drug trafficking has been reported as missing from the Red Eagle Honor Farm near Montgomery. Authorities say Christopher Shun Hamby, 37, was wearing state whites when he left the prison grounds. Hamby is described as 6'11" tall and weighing 167# (that is the reported data, not a typo). If you have information concerning Hamby, call 911 or 800-831-8825.